In a blog post published last year we detailed a trip from the UK to the Hotel Jardín Tecina. A relaxing but lengthy journey, the process involves planes, ferries and private transfers and has to be timed perfectly so that there is not too much waiting around between each leg. However, things could be about to get easier with the reinstatement of an internal ferry service on the island of La Gomera. Previously, a small boat operated a service from the capital, San Sebastian de La Gomera, to Playa de Santiago, where the Hotel Tecina is located, and then on to the fishing town of Valle Gran Rey. This was stopped around five years ago, due to it no longer being financially viable, but Fred. Olsen has recently applied to reinstate the route as part of their current ferry operation in the Canaries. Fred. 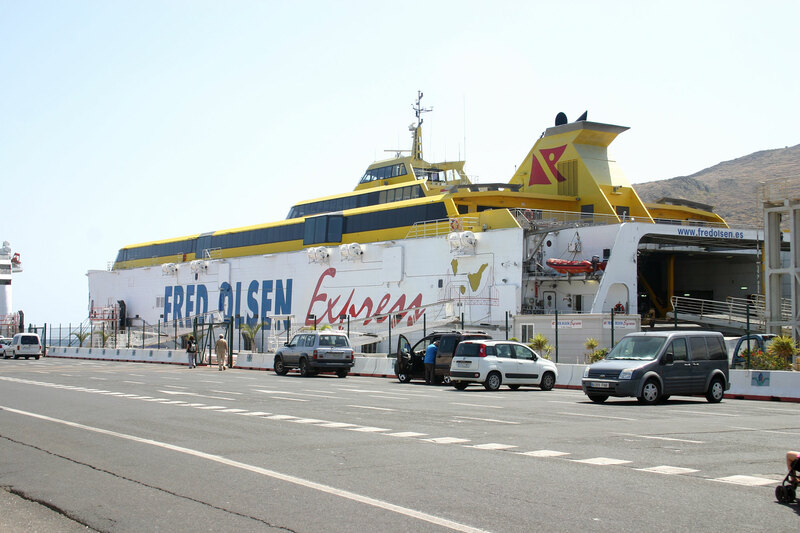 Olsen Express has a fleet of five ferries, sailing a number of routes between six of the seven Canary Islands, including the one guests use from Los Cristianos in Tenerife to San Sebastian. The application to restore this maritime passage has been welcomed by local islanders who have been crying out for a better way of getting to the capital since the route was cancelled. School children from Valle Gran Rey would regularly use the service and have since had to face an hour-long journey via the winding roads that meander through the centre of La Gomera. It may be early days, but things are expected to move quite quickly and the route could well be re-established in the near future, with several daily departures offered. Benefitting both the locals and tourists heading to the popular resort of Playa de Santiago, it can only be a good thing for the island as a whole.